Our staff takes great pride in offering exceptional service that exceeds your expectations. We are committed to professional quality care that provides the best possible treatment experience. In order to meet all of the infection control requirements set in place by the regulating college, our equipment undergoes rigorous sterilization between each visit. ​Our office provides a family friendly, comfortable environment with state-of-the-art equipment. We like to involve our patients in their own care and welcome your questions and concerns. We look forward to welcoming you to our family and providing you with treatment that allows you to stay mobile for the years to come. HELLO, MY NAME IS KURTIS. "People rely on their FEET to be mobile and active every day, often overlooking the immense PRESSURE and STRAIN that is placed upon them. My goal as a foot specialist is simple - to IMPROVE my patients QUALITY of life. I look forward to meeting you and building a treatment plan to help with your foot discomfort." Krista Harris D.Ch. completed her undergraduate studies at the University of Western Ontario in Kinesiology. She went on to continue her studies completing an Advanced Graduate Diploma of Health Sciences and Chiropody at the Michener Institute. Krista developed an interest in healthcare and biomechanics while competing in many sports and playing varsity Rugby at the University of Western Ontario. Krista has experience working with diverse populations and is looking to taking your foot health into her hands. 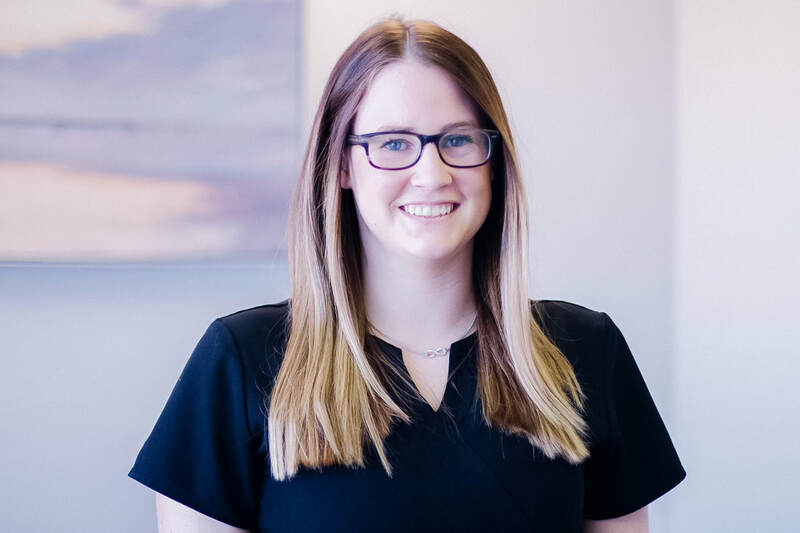 Krista has a keen interest in diabetic foot care and wound care. In her spare time, Krista enjoys playing soccer, volleyball and traveling as much as possible. Kurtis Borland D.Ch. is the resident Chiropodist at the Kawartha Foot & Orthotic Clinic. Kurtis grew up in Peterborough and is proud to be able to locate back to the area to serve as a foot specialist for the community he calls home. ​While completing his kinesiology undergraduate degree at Wilfrid Laurier University, he took a special interest in biomechanics and gait analysis. To pursue this interest, Kurtis attended the Michener Institute of Education at UHN to specialize in podiatric medicine and ultimately become a Chiropodist. 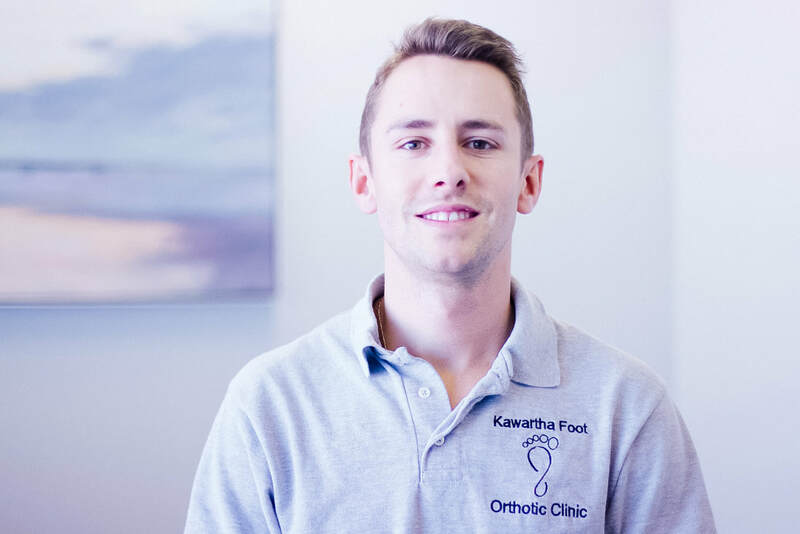 After 7 years of education, Kurtis gained valuable practical experience at the Michener Chiropody Clinic, Kitchener Downtown Community Health Centre and the Waterloo Foot Clinic. Kurtis is compassionate in providing the best podiatric care available through assessment, treatment and prevention of foot ailments. Kurtis has a keen interest in sports and enjoys applying his knowledge of podiatric medicine to individuals with sports injuries. Vanessa is the first face you see that welcomes you to the Kawartha Foot & Orthotic Clinic. Vanessa strives to maintain a welcoming and warm atmosphere for each patient and has always had a strong passion for helping people of all ages. As all patients have different needs, Vanessa works with each individual patient's schedule to accommodate their appointment times and she takes care of direct billing insurance companies. ​Outside the clinic, Vanessa enjoys spending time with her nieces. ​ operating hours are by special request. For your convenience, the plaza offers FREE parking and is accessible to all.